Predictive methodologY for TecHnology Intelligence Analysis) is a research project that has received funding from the European Union's Preparatory Action for Defence Research - PADR programme under grant agreement No 800893. Objective of the project is to develop an innovative methodology for performing strategic technology foresight in the defence domain. It is difficult to escape from the cognitive biases which limits the forecasters, also in case of well-prepared expert, to elaborate rational answers. We're pleased to announce that the 4th workshop within PYTHIA project will be held on 3rd April in Warsaw, Poland. The goal of this working session titled "Judgement: managing the cognitive factor to improve the accuracy of technology foresight" will be to explore the role of cognitive biases and their impact on technology forecasters. The main question we will be looking for to answer is "How can we take into account the cognitive factor in order to improve the technology foresight?" As usual, this working meeting will gather together all consortium partners: Engineering Informatica (Italy), Zanasi & Partners (Italy), Expert System (France), Hawk Associates Ltd (United Kingdom), Military University of Technology (Poland,) Fondazione ICSA (Intelligence Culture And Strategic Analysis) (Italy), Romanian National Defense University, Carol I° (NDU), Bulgarian Defence Institute "Professor Tsvetan Lazarov" (BDI). Furthermore, external experts from different countries & different organizations (private sector, armament universities) will join the workshop and provide their expertise and share their experience during the interactive session. In the first place, the workshop will start with the global overview of the project by Engineering Ingegneria Informatica S.p.A, in the second place Zanasi & Partners will introduce cognitive biases affecting human judgement, then Engineering Ingegneria Informatica S.p.A with ExpertSystem will present the technology trends and big data analytics developped withing PYTHIA project. The workshop will be ended up by the Round Table where experts will exchange their opinions regarding the cognitive biases. We are pleased to announce that PYTHIA project continues on its chosen path with the 2nd workshop that will be held in Paris, France, on 11th October 2018. This workshop will bring together all consortium partners: Engineering (Italy), Zanasi & Partners (Italy), Expert System (France), Hawk Associates Ltd (United Kingdom), Military University of Technology (Poland,) Fondazione ICSA (Intelligence Culture And Strategic Analysis) (Italy), Romanian National Defense University, Carol I° (NDU), Bulgarian Defense Institute "Professor Tsvetan Lazarov" (BDI). Furthermore, external experts from different countries & different organizations (private sector, armament universities) will join the workshop and provide their expertise in field of "Big Data Analytics: methodologies for technology forecasting". In the first place, the workshop will start with the global overview of the project by Engineering Ingegneria Informatica S.p.A, in the second place Zanasi & Partners with Expert System France will present the methodology chosen for PYTHIA's technology forecasting. After that, experts will speak about different methodologies such as scientometrics, NLP, data collection. The workshop will be ended up by the Round Table where experts will debate PYTHIA's methodology. Bulgarian Defence Institute "Professor Tsvetan Lazarov" (BDI). Includes the activities for effectively planning, managing, and controlling the project throughout its duration, managing the consortium, reporting the project results and status. This also includes the setting up and implementation of the quality control system aimed at planning, managing, and assuring the quality of project deliverables and the activities for controlling data usage during the project. Aims at reviewing methods for assessing the correctness of predictions, analysing the most notable failures and success in technology forecasting in order to define a set of recommendations for European and non- European forecasters to mitigate the negative impact of the human factor. Main objective is to provide a system with simple and intuitive technology forecasting services exploiting Big Data Analytics and text mining techniques. This system will be part of a collective intelligence environment to be used by experts and forecasters for discovering key technology trends. Aims to present the concept of military/defence strategy in its various layers and dimensions, the main threats and risks that currently undermine EU security and stability, the strategic interests of the EU as well as of individual Member States, in order to evaluate the impact of future technologies on them and to propose defence research themes in response. Is intended to foster the creation of a network of European technology foresight professionals and stakeholders with the aim to facilitate dialogue, collaboration, and the sharing of experience with Ministries of Defence from EDA-associated countries. Four workshops will be organised in order to collect input for the building of the PYTHIA methodology, to share the results of the work with the domain experts and with the international research community, and to gain a better understanding of the defence implications of technology changes. Manages the dissemination of the project activities through all the communication means that will be set up during the project and investigates about the opportunity to exploit PYTHIA's results. 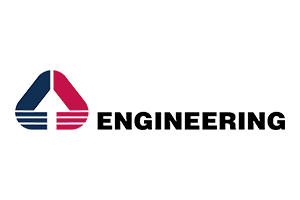 Engineering is the leading Italian software and services group, with 9,000 employees and 50 sites distributed in Italy, Germany, Spain, Belgium, Republic of Serbia, South America (Brazil and Argentina) and United States, a consolidated revenue portfolio in 2016 of about 934.6 million Euros. Engineering has a consolidated presence on all vertical markets and operates through its 4 business units - Public Administration & Healthcare, Telco & Utilities, Industry & Services, Finance - supported by cross-business unit centres of competence and by the Research and Innovation Department which, with its 250 resources, has the dual role of promoting research on software at an international level and transferring innovation to the production cycle of the business structures. The Group operates in the outsourcing and cloud computing market via an integrated network of 4 data centres located in Pont-Saint-Martin (AO), Turin, Vicenza and Milan, equipped with infrastructure aligned to the best technological, quality and security standards. The Group invests about 30 million Euro/year in research, with about 250 researchers, more than 70 ongoing national and international research projects and 4 development laboratories. Engineering is core partner of EIT Digital (Trento node of the European Institute of Innovation and Technology), co-founder of the Big Data Value cPPP, co-founder of the European initiative Future Internet PPP, partner of the Alliance for the Internet of Things (AIOTI PPP), board member of the European Organisation for Security EOS, partnership board member of the European Cyber Security Organisation (ECSO), and co-founder of the initiative NESSI (Networked European Software and Service Initiative). Development of a component to automatically generate scenarios based on the technological trends discovery Improvement of a smart visualization tool to create cockpits that will represent the trends and the on- demand forecasts that can be generated, by experts users that use the system according to guided wizards and by informal and unknown experts that can participate to challenges to support or disconfirm experts theories Integration of the services and tools developed and evolved during the project, regardless if they are ENG's existing assets or partners' ones. 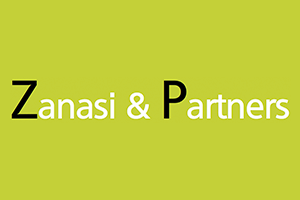 Founded in 2006, Zanasi Alessandro Srl ("Zanasi & Partners") is a research and advisory company, incorporated in Italy and active internationally. It serves its clients by focusing on strategic decision-making related to unconventional threats (e.g. terrorism, cyber-threats, climate change, etc. ), applying and developing innovative forecasting and strategic intelligence methodologies as well as new approaches to mitigate the cognitive biases that have contributed to recent intelligence failures. Z&P has received funding from the European Commission for 20 security and defence research projects. As an advisory company, Z&P's clients include European Commission DGs and international institutions (e.g. ESA, FRONTEX, ENISA, etc. ), national governments (e.g. Italy, Saudi Arabia, Romania, Algeria, etc.) and large private organisations (e.g. Gruppo Editoriale L'Espresso, Siemens AG, etc.). Facilitation of international workshops aiming to test the findings of PYTHIA against the best practitioners at European and global level. Expert System (ES) is a technology company developing big text/data analytics solutions, including a Natural Language Processing (NLP) engine and a complete semantic network for performing advanced text analytics tasks, development and management of taxonomies and ontologies, automatic categorization and information extraction. Over the last thirty years, ES has developed a unique expertise in the application of this proprietary knowhow to the analysis of documents regarding technology (e.g. patents, scientific articles, conference proceedings, etc.) in order to extract trends and perform automatic foresight. The expertise of ES includes the management of most common standards for importing and mapping available customer ontologies in order to facilitate interoperability (transfer and normalization tasks). The PYTHIA project, through semantic personalization, can exploit a large amount of provided information for performing deeper-level analyses and fine-tuning the entities/relations extraction for the best quality. Founded in 1989, ES currently has a permanent staff composed of 115 professionals. In 2015, ES acquired TEMIS SA and established ES France as the company's French branch. in the PYTHIA project, ES will manage the data collection and data analysis process. As the first step in Technology Foresight, a retrospective analysis is needed in order to understand the dynamics behind an emerging technology. Those analyses require important skills in the fields of scientometric tools and technology watch methodologies. This is absolutely necessary to monitor scientific publications but also large patent databases. Thus, ES will as main tasks monitor the data collection process and manage the selection of tools and software to analyse scientific and patent literature. 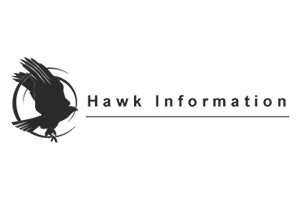 Hawk is an open source intelligence and technology specialist offering strategic, operational and technical support to organisations within the Defence and Security sectors. The company is dedicated to providing on-going intelligence-led services including market analysis and forecasting, technology roadmapping, technology and risk intelligence, early-warning and foresight, training and strategic consultancy. Using OSINT, domain expertise and a proven analytical capability, the company enables organisations to address their most critical challenges and gain the insight and capabilities they need to exploit information effectively and make better decisions. Hawk has many years of experience in the fields of technology scouting, technology observatory/monitoring and technology intelligence. Special focus is placed on improving intelligence tradecraft and developing adaptive methodologies for future-based and predictive work. Technology foresight, impact and evaluation as well as risk and opportunity assessments are key to Hawk's analytical capability. The company has worked with a multitude of Ministries of Defence as well as private sector clients. Hawk is a member of ADS in the UK and is ISO 9001:2008 registered for Information Management. Hawk will use its expertise to support activities within WP2, WP3, WP4 and WP5. Further support will be given to elements within WP1 (security management) and WP6 (dissemination and exploitation). This will draw on Hawk's experience in developing, evaluating and delivering methods for measuring prediction accuracy and improving the accuracy of technology foresight based on real end-user forecasting needs and the best strategies to adopt to achieve this (WP2). As an OSINT and IM specialist, Hawk will support the tasks in WP3 for the identification of relevant information sources and the tools to manage these. Based on this work, tasks in WP4 will focus on strategies for the defence sector, development of scenarios and opportunities for strategic technology foresight and the links to other research programmes and new technologies and themes for research. Military University of Technology is a public technical university under Ministry of Science and Higher Education as well as Ministry of Defense. The entire university is divided into seven technical faculties. Institute of Optoelectronics (IOE) is the research institute with faculty status within the Military University of Technology. IOE activities are mainly focused on basic and applied research in the fields of optoelectronics and photonic technologies. The principal mission of the IOE is research and development related to defense and security needs defined by the Ministry of Defense (MoD). IOE activities include a wide range of undertakings, ranging from basic scientific investigations, development of laboratory models and technology demonstrators, to testing prototypes. The remarkable professional competence and experience of the staff at t enables an interdisciplinary approach towards research tasks and development projects. The institute undertakes scientific research in the field of laser physics, photonics, optics, optoelectronics, security systems, spectroscopy, thermovision, biometrics, signal detection and the interaction of laser radiation with matter. The background has been strengthen during numerous scientific programs managed by the EU, EDA, and NATO. For many years the Institute is involved in various scientific initiatives worldwide, in the framework of bilateral collaboration agreements. The research work of IOE has been always accompanied by the activities in the field of education. Over recent years, the laboratory infrastructure of the IOE has seen considerable development as a result of successive investments and realizations of several projects and programs. 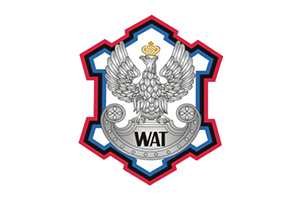 the main roles of WAT will focus on providing technical defense and security oriented expertise, gathering and providing guidelines for the forecasting methodology, co-organizing workshops and engaging its network of Stakeholders for the project activities. 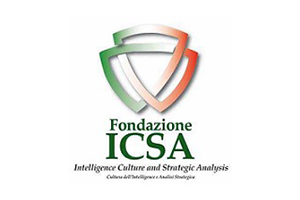 FONDAZIONE ICSA is a non-governmental body, a centre of analysis and of cultural processing that deals in innovative ways with security, defence and intelligence issues. Its mission is to analyse the main aspects of national and foreign security issues, the evolution of military defence models with respect to external threats and the increasing criminal and illegal phenomena in Italy and abroad. In addition, it observes the growing role of cyber and technological security of the State and its individual citizens. The President of the Foundation is General Leonardo Tricarico, former Italian Air Force Chief of Staff. The Scientific Committee is composed of academic and professional personalities with outstanding expertise in matters of defence, security and intelligence and constitutes an essential organ of the Foundation. The main role of ICSA in the PYTHIA project will be played within the context of WP4, where ICSA will leverage its expertise on national security issues for leading the identification and assessment of relevant threats and risks to EU security. As part of WP4, ICSA will also contribute to the evaluation of the concept of defence strategy and of EU/national interests as well as to the identification of potentially disruptive future technologies for European defence. In addition to WP4, ICSA will be involved in some of the end-user workshops foreseen under WP5 and will participate to the consortium's efforts to disseminate project results across the European security and defence community. It is the highest military education institution within Romanian Ministry of Defense and consequently it has a major role in the transformation processes of the national defense forces in accordance with the new global security environment and Romania's NATO and EU member status. NDU expresses its readiness to actively participate in projects competitions under the Horizon 2020 Framework Programme and other international projects competitions by providing its scientific expertise and available infrastructure in areas such as: national defense, security, intelligence, crisis management and conflict prevention, multinational and joint operations, stability, support transition and reconstruction operations, prevention and fighting against terrorism, defense resource management, modeling and simulation, leadership, military art and science, learning, education and training. Education and training of military and civilian leaders and experts in the field of national defense, information and security. Conducting of scientific studies requested by high-level organizations with responsibilities in the field of national defense and security (Presidency, Government, Supreme Council for National Defense, Parliament, etc.). 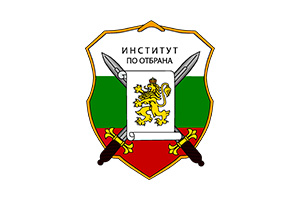 Bulgarian Defence Institute "Professor Tsvetan Lazarov" is the main scientific-research, testing-design and expert-technical structure in the Ministry of Defence of the Republic of Bulgaria. Support to the Analysis of the situation of the Armaments, C4I Systems, and Military Techniques, Logistic Equipment and materials and working out of perspective prognoses on their development. Support to the Integrated Project Teams through taking part in the preparation, scientific monitoring and complete implementation of the defence programs and projects. Reproduction of scientific personnel through education in doctoral programs, their development and creation of scientific-technical for needs of the Defence System. Support and ensure of scientific-technical consultations by experts for the needs of the Armaments Council and the Defence Capabilities Council. Cooperation in the sphere of research works, development, testing and certification of the defence products in the frameworks of NATO, The European Union, as well as on bilateral basis and in national aspect. Working out technical specifications and expertise, programs and methods for testing, as well as standardization and other documents, related with the acquisition of defence products. Preparation and performance of laboratory, functional, acquisition, field and other testing of armaments, C4I systems, Military techniques, Logistic equipment and materials. Treasure, acquisition and development of the departmental standards. Certification of Quality Management Systems in accordance with NATO Standards, guaranteeing of the quality and assessment of the compliance during the acquisition of defence products. Ensuring of air safety and flying suitability of the military aerial vehicles, as well as of the aerial vehicles of the Ministry of the Interior. in PYTHIA, BDI will share expertise in the horizon scanning, tech watch development, and foresight analysis security including technical and operational aspects. BDI will be involved in the following main tasks in the project: security aspects management, the human factor in technology foresight: source of failures and successes, review of the current methodologies for defence and security technology forecasting, identification and evaluation of relevant information sources, big data and text mining techniques for technology trends discovery, smart visual analytics for the situational picture: automatic generation of scenarios, creation and management of a network of end-users, and dissemination and exploitation of the results. Additionally will disseminate the results through internal channels into the Bulgarian MoD and Bulgarian Armed Forces, and into external channels to European Defence Agency. Thus, NDU is engaged in a prodigious activity of fundamental and applied scientific research in the areas of security and defense, strategy, operational art and tactics, by participating as project leader or partner in national and international research programs, and as evaluator for national and international projects, including FP7 and H2020. Also, NDU experts are invited to participate in top conferences, courses, NATO workshops (ADL Experts Group at NATO Training Group for Individual Training and Education Development; NATO ADL Mobile Expert Team) and committees (Scientific Advisory Committee of US Office of Naval Research Global). Under the coordination of Centre for Defense and Security Strategic Studies (CDSSS), the main center for strategic studies within the Ministry of National Defense, NDU's students, teachers and research staff are involved in various scientific research programs. The scientific research within CDSSS is divided in four programs (Concepts and Theories, European and Euro-Atlantic Integration, Areas of Strategic Interest, and Armed Forces and Society), supplemented by participation in national and international research projects on topics such as: security technology, critical infrastructures, crisis management, extreme risk events, human security, etc. contribute to the dissemination and exploitation of PYTHIA scientific results and practical deliverables. The President of the Foundation is General Leonardo Tricarico, former Italian Air Force Chief of Staff. The Scientific Committee is composed of academic and professional personalities with outstanding expertise in matters of defence, security and intelligence and constitutes an essential organ of the Foundation. 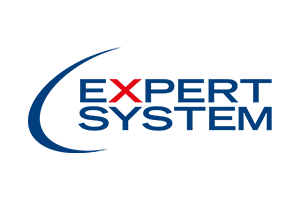 The main role of ICSA in the PYTHIA project will be played within the context of WP4, where ICSA will leverage its expertise on national security issues for leading the identification and assessment of relevant threats and risks to EU security. As part of WP4, ICSA will also contribute to the evaluation of the concept of defence strategy and of EU/national interests as well as to the identification of potentially disruptive future technologies for European de- fence. In addition to WP4, ICSA will be involved in some of the end-user workshops foreseen under WP5 and will participate to the consortium's efforts to disseminate project results across the European security and defence community. The PYTHIA project will use instruments that allow for the controlled dissemination of results, including the Engineering's OPENNESS (OPEN Network Enterprise Social Software suite) platform, a collective intelligence platform for information management and the project website. This collective intelligence platform, whereby defence stakeholders, including defence authorities, industry representatives and domain experts, will be able to work together, coordinate activities and perform defence technology foresight based on the PYTHIA methodology. A further contribution to underpinning coordination of defence research activities at the EU and national level will result from WP5, where a network of European defence technology foresight professionals and researchers will be created, with the aim of facilitating dialogue and the sharing of experience with EU Ministries of Defence and the international research community, upholding the development of a European community of professionals dedicated to addressing long-standing technology foresight challenges. The PYTHIA technological approach main objective is to provide a system with simple and intuitive technology forecasting services exploiting Big Data Analytics and text mining techniques. This system will be part of a collective intelligence environment to be used by experts and forecasters for discovering key technology trends. In order to deliver a collective intelligence platform, starting from OPENNESS, that will be used by two main different groups of users. On the one side, the end-users belonging to the SG will access this platform to collect and visualise technology trends, as well as access scenarios, forecasts and recommendations. On the other, users that do not belong to the SG will access the platform with different rights, taking part in a serious game approach: the forecasters from the SG, in fact, will publish a series of challenges, which the "gamers" will be asked to confirm or not with the help of PYTHIA's recommendations to avoid cognitive biases. To do so, the consortium will also leverage its experience with previous research projects such as LEILA, focused on the development of a serious games-based training curriculum for intelligence analysts that proved effective in making them aware of cognitive biases and capable of adopting strategies for mitigating their negative effects. So to sum up, the platform will be prepared according the following workflow: the identification of sources, the collection of relevant data and documentation, the identification of technology trends with Big Data and text mining techniques, the generation of the scenarios, the consolidation of the experts' forecasts using a bottom-up approach.